The Leeming Spartan Cricket Club and committee would like to thank the support of the Western Australian Cricket Association for their crucial support following our recent break in. Our thanks in particular to Jess Kiely and Gabrielle Leipold from the WACA’s Commercial Department and to Melissa Heron – the High Performance Coordinator at the WACA for their amazing support! Following enquiries made by Leeming Spartan Secretary Daniel Coombs, the WACA was immediate in their response to our request for support, and it has been fantastic to see the head of the cricket community in Western Australia rallying together to support the Spartans in our one-hundredth year. Thanks to their many hours of work, the Leeming Spartan Cricket Club was extremely fortunate in receiving two brand new scoreboards, a signed Perth Scorchers BBL|06 Champions shirt and twelve brand new Masuri Helmets that will undoubtedly prove to be a fantastic help as we try to replace the more than $35,000.00 worth of stock that was stolen in May. 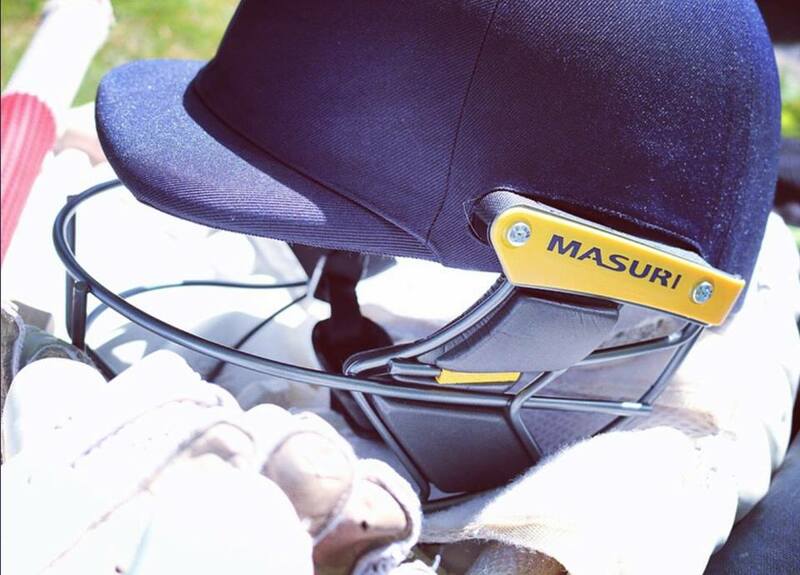 With respect to the Masuri helmets, we also deeply thank Maurie Presutto, the General Manager at Masuri for his extremely generous donation and support of the Leeming Spartan Cricket Club in our centenary year. The break-in was unprecedented in Spartan (and Leeming Sports Association) history in terms of the size and materials that were lost – and, as we reported in May – most of the items being old playing gear that had the Leeming Spartan logo on them and will likely end up in landfill. Unless the thieves were planning on starting their own cricket club (with the same name as the Spartans), then most, if not all, of the equipment that was stolen won’t be of any use and certainly isn’t sellable. Whilst we were insured under the LSA banner, the maximum amount we can possibly receive is $10,000.00 (with a $2000.00 excess), meaning over twenty thousand dollars worth of equipment, playing gear, merchandise and materials will need to be sourced by way of fundraising and donations. It is certainly the biggest setback the club has faced in recent years, and it could not have come at a worse possible time as we sit on the verge of our one-hundredth anniversary. As such, the great support that we have received from the WACA and Masuri is absolutely vital, and we cannot thank them enough. 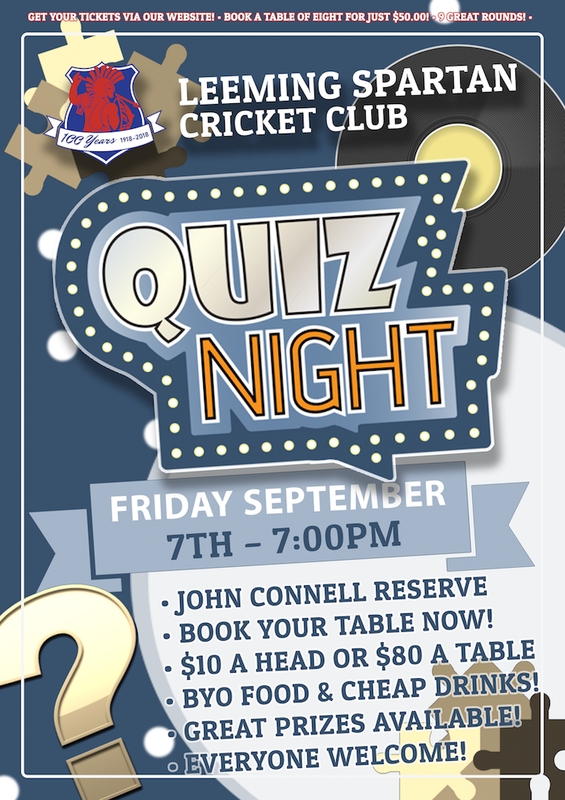 The Leeming Spartan Cricket Club is holding a Quiz Night on September 7th as a fundraiser to help raise money to replace the equipment, and we encourage everyone to come along and attend what will be a fantastic event – if the months work of planning is anything to go by! On behalf of the Leeming Spartan Cricket Club, we sincerely appreciate and thank the support of the WACA and Masuri during this time. A special thank you to Jess Kiely, Gabrielle Leipold and Melissa Heron from the WACA and Maurie Presutto from Masuri.